It really is supposed to be spring now, clocks have gone forward, mother’s day is passed and we’re now in April. I don’t think anyone’s told mother nature though, it still freezing here. I was going to say at least its dry and we have blue skies, but today in Glasgow it is pouring down, sods law. 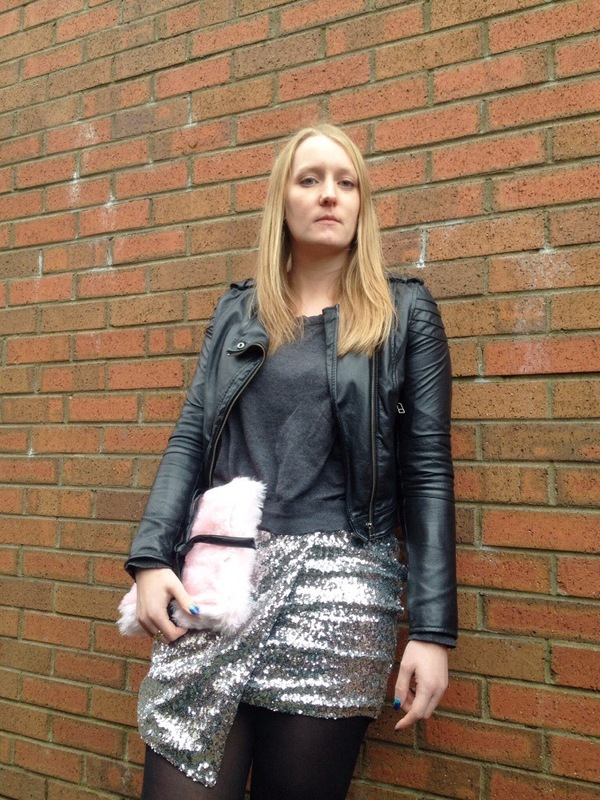 On Sunday I figured I’d brighten things up with this sequinned skirt even if the weather wasn’t playing along. I picked this up in the sale after Christmas but haven’t had a chance to wear it yet. As I said on instagram, who says sequins are just for nights out, toughened up with some leather and boots they’re perfect for an afternoon. This was the first time I got to try out my DIY furry clutch, I forgot to take it on Thursday to the Lush event stupid me. I love it even more now I’ve tried it out, I can fill it with a multitude of things. I lile the complete outfit, specially the skirt! You look gorgeous! 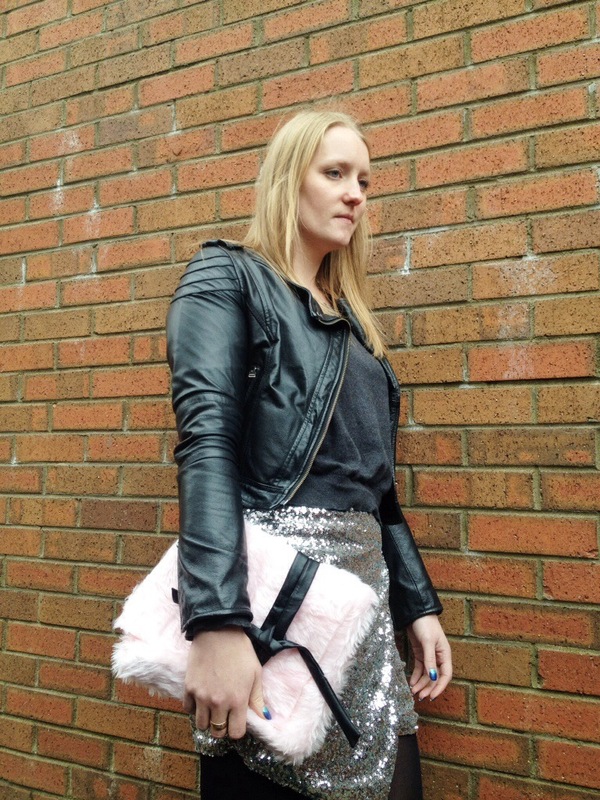 The metallic skirt contrast with the fluffy bag in a lovely way! And the asymmetrical hem adds a little bit more of a flair… I love it! Such a great outfit!! Love the bag!